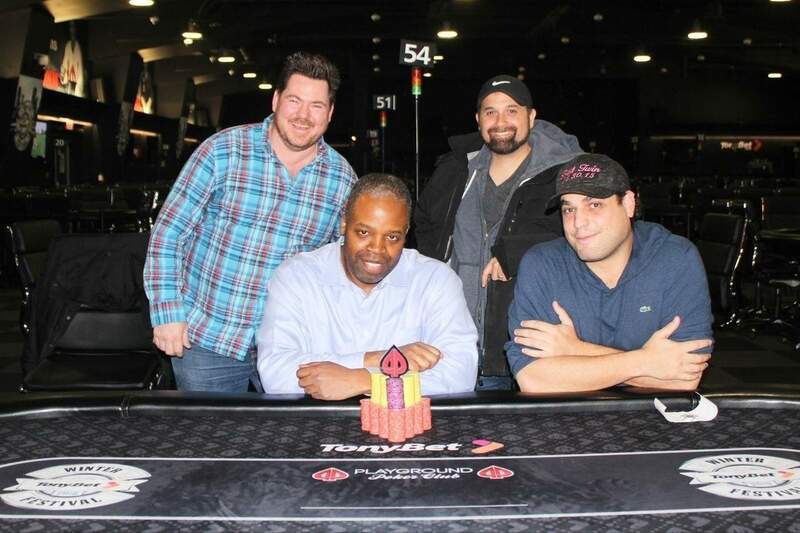 Welcome to the TonyBet Power Weekend! 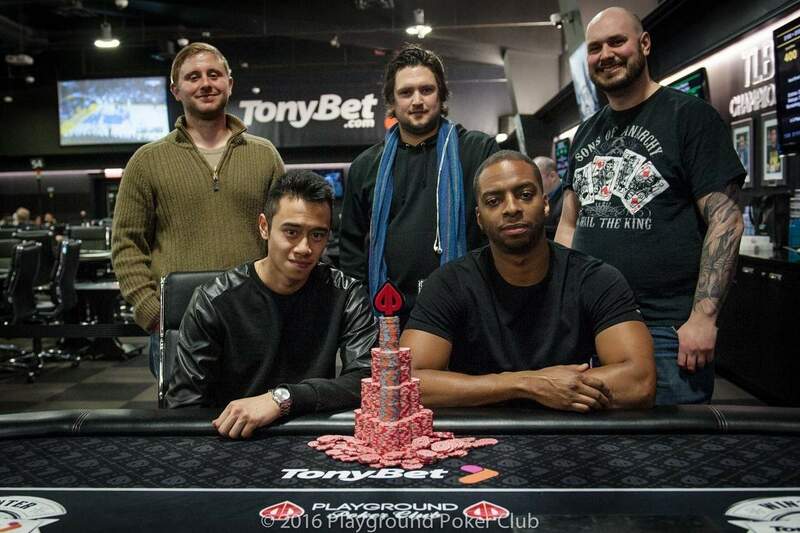 The TonyBet Power Weekend starts on March 9th with the 1st of 4 starting flights for the $100K Guaranteed $135 + $15 NL Hold'em Re-entry event. 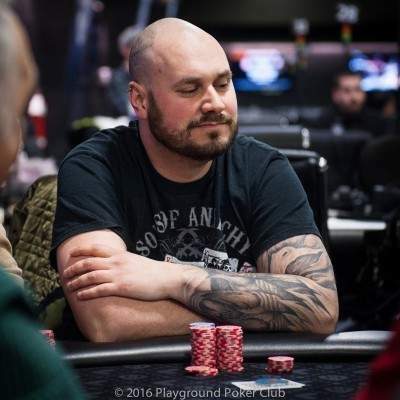 The Power Weekend continues that night with 5 other events including the popular Mix Max, and Tag Team tournaments plus the first ever NL Pineapple event hosted at Playground Poker Club! 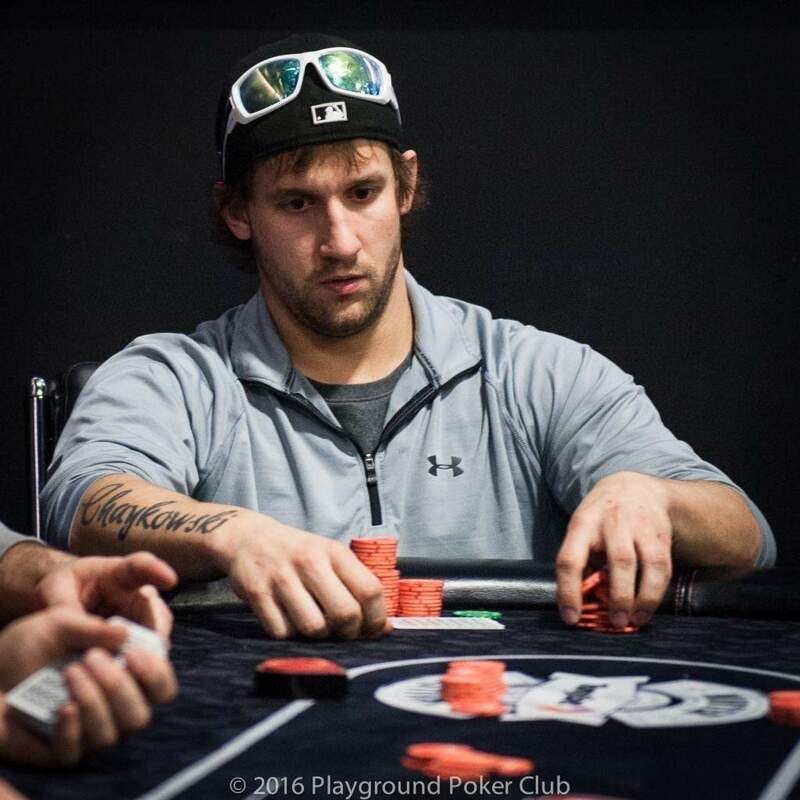 The final 5 players strike a deal! 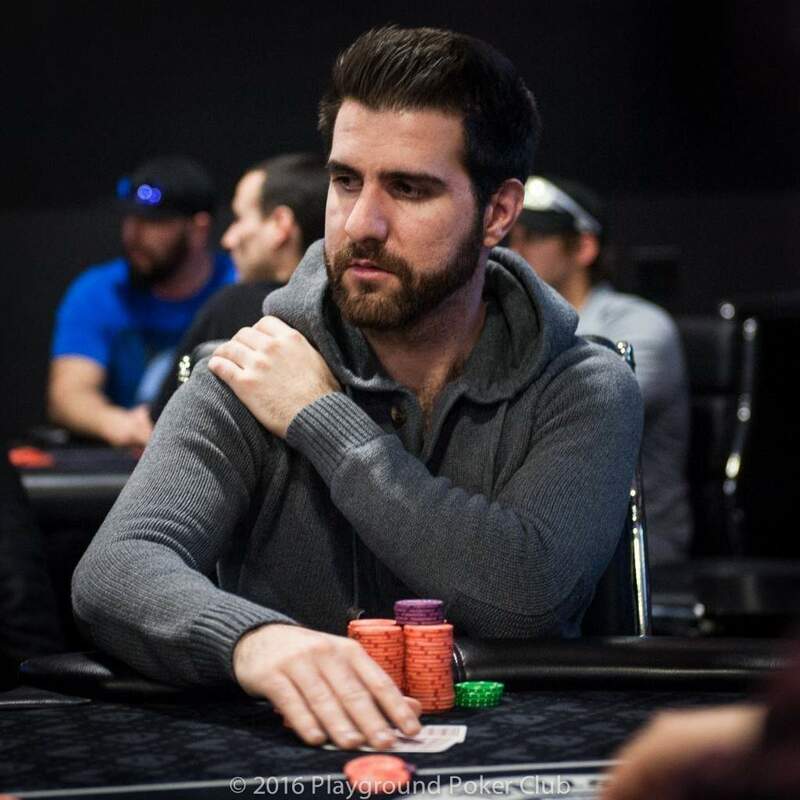 Following Sean Dave Mc Nally’s elimination in 6th place, the final 5 players of the $100K Gtd decided to pause the clock and look at the numbers for a deal. After some deliberation, an offer was proposed that seemed to please all the parties. 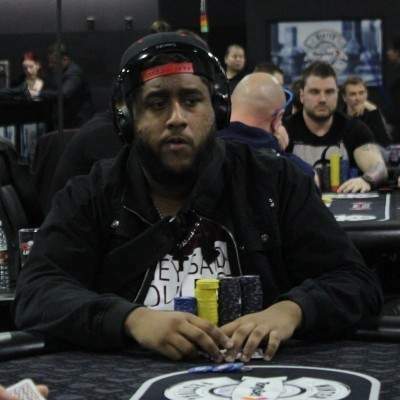 Given that Ruben had the dominant chip lead at the time, and the other 4 players were all within a similar range in chips, Ruben took home $21,000, while the others collected between $11,638 and $12,500. 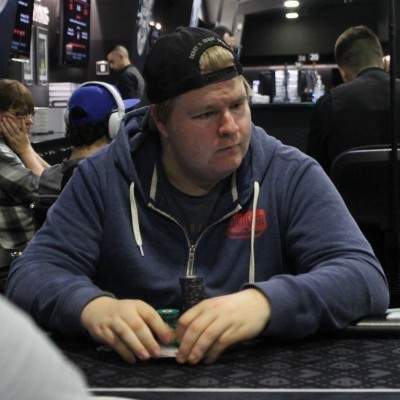 Sean Dave Mc Nally lost quite a few chips due to the blinds in recent levels, and in his last hand of play, he limped from early position, and then went all-in for 10BB after Ruben placed a raise next to act. Ruben made the quick call, and cards were tabled. 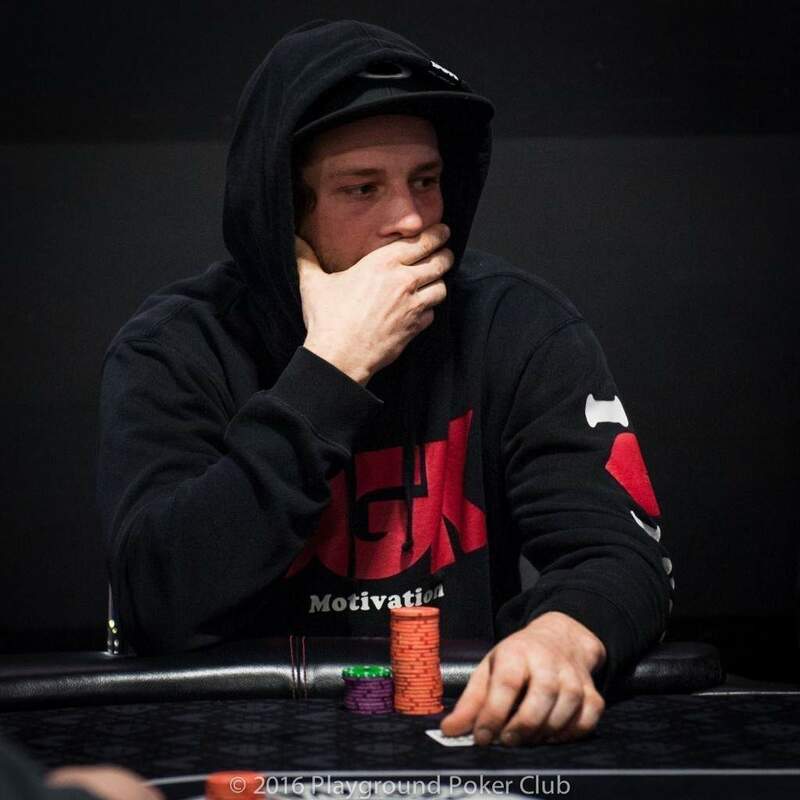 There was hope for Sean as he flopped a gutshot along with his live card, however the board ran in favour of the big slick, and Sean was sent to the cage to collect his cash prize. 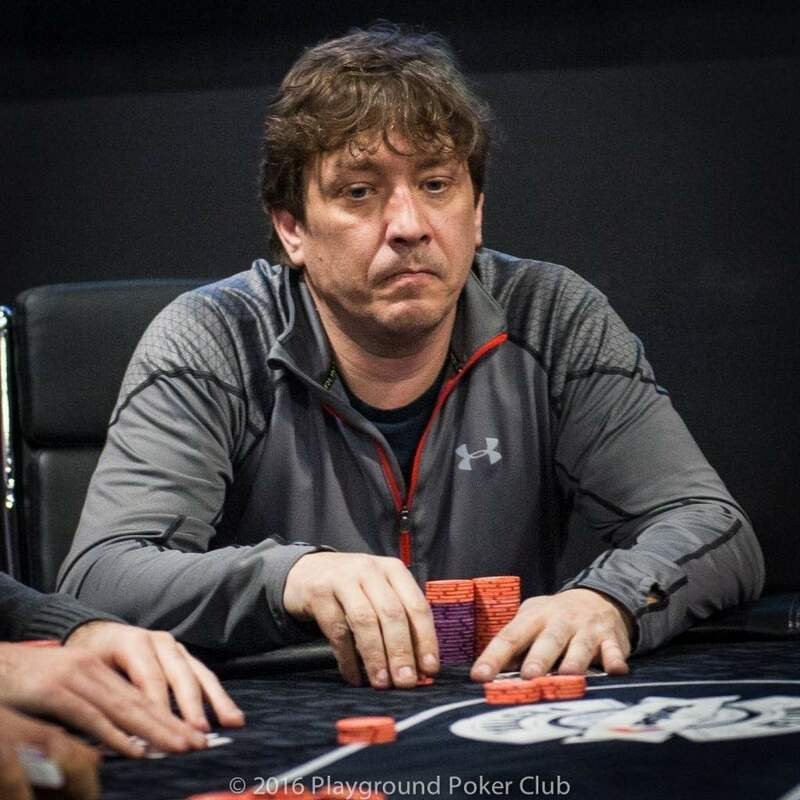 The tournament is now on a short chip-up break, as the T5,000 chips are no longer needed, and we took this opportunity to bring an update on the chip counts as play enters level 32. 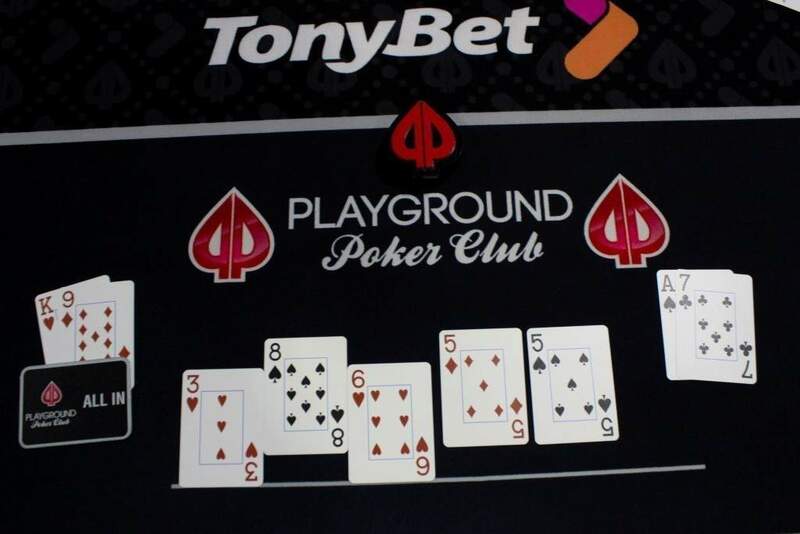 Tonight was the first ever NL Pineapple tournament at Playground Poker Club, part of the TonyBet Power Weekend. 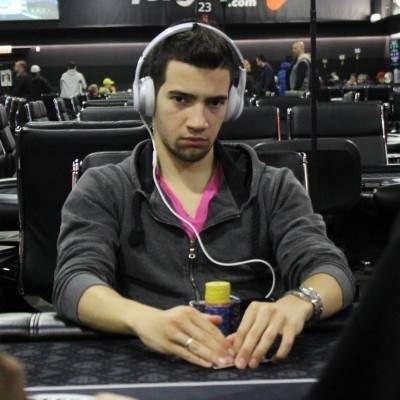 The buy-in was $100 + $10 and this first edition attracted 163 players – players who were impressed with the format and looked forward to another… or possibly Pineapple cash games at some point. 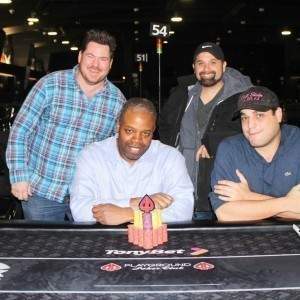 Despite the initial rapid pace of eliminations, the length of the event overall was about normal, even considering the 6 way deal that wrapped up the tournament. 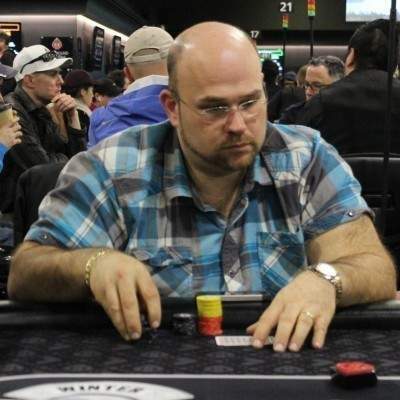 According to the published prize pool, the winner was scheduled to received $3,801, and as the chip leader with almost 60% of the chips in play, Andrew Forest offered to take $3,500, leaving the remaining prize pool to be distributed among the remaining players, who chose an even chop (save for the extra $11 to 2nd place). 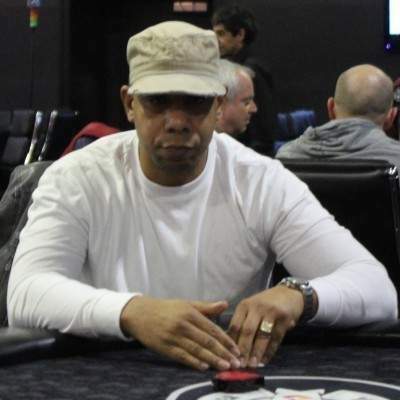 Joseph B was as normal as a metronome all night, playing almost exactly the tournament chip average from start to finish. 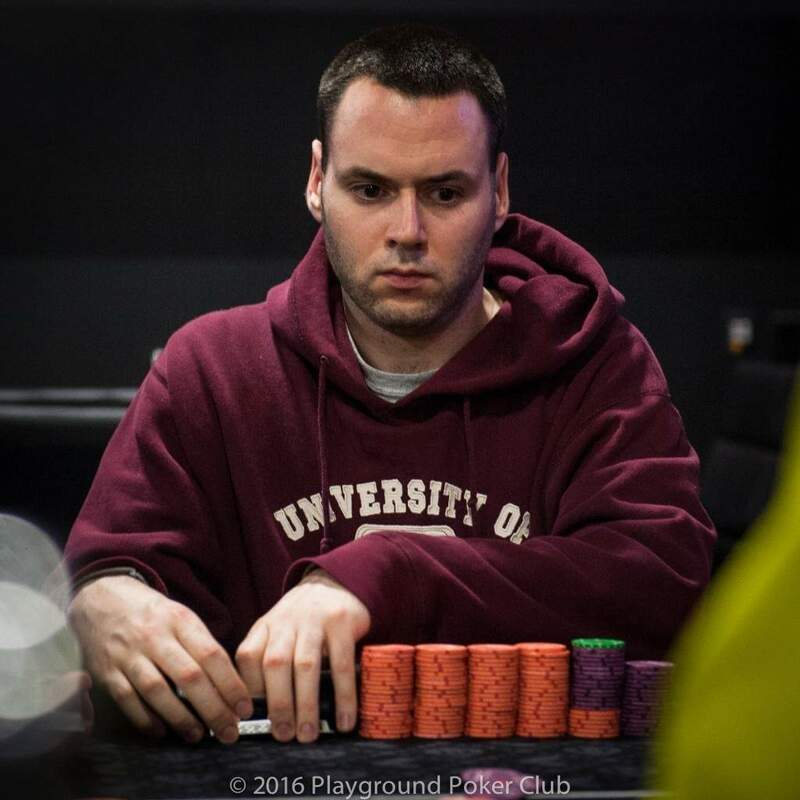 When he finally went all-in for 80K, he was called by Andrew Forest. The flop reminded Joseph that some nights, KK just won’t do the trick – Andrew had out-flopped him by hitting his set of 7s. 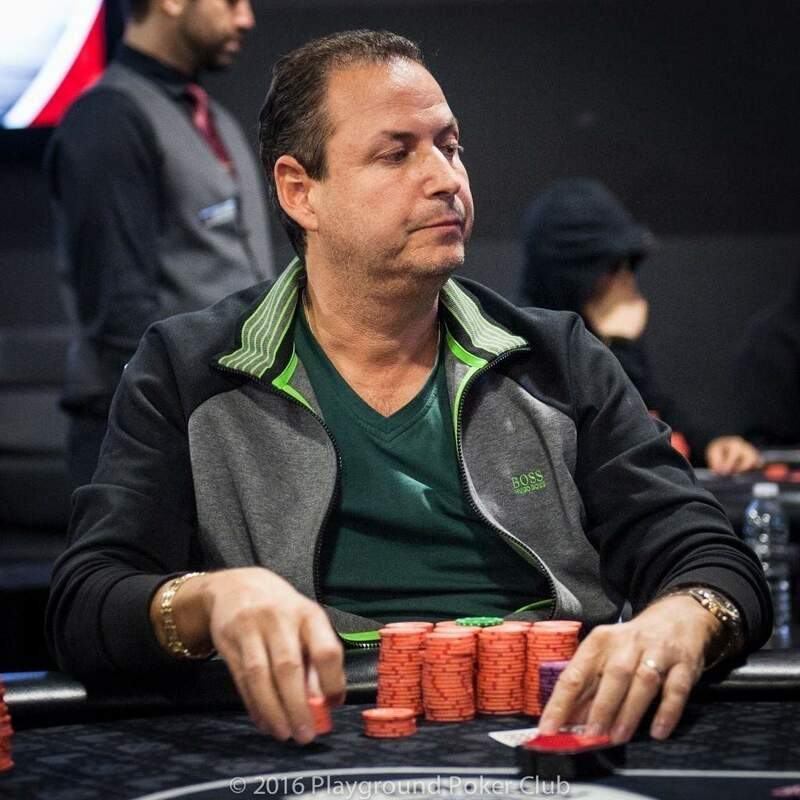 After the hand Donald Abdelhay mentioned that he had folded a pair of nines – he would have made his 3rd Quads of the night. A key hand in the tournament followed. 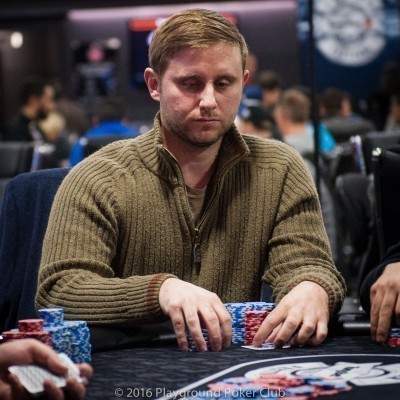 The chip leader for several hours already, Andrew Forest, raised from middle position and everyone folded around to the blinds who both went all-in, one after the other. 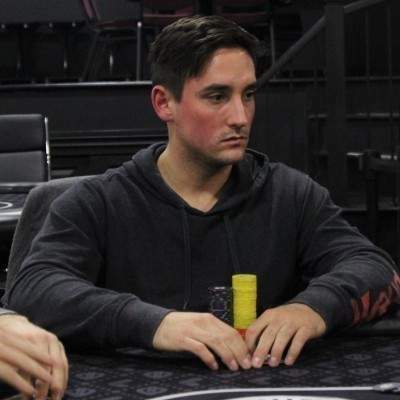 Andrew made a snap-call with pocket Aces, while all his opponents in the hand could do was to note they both had the same hand (killing outs for each). 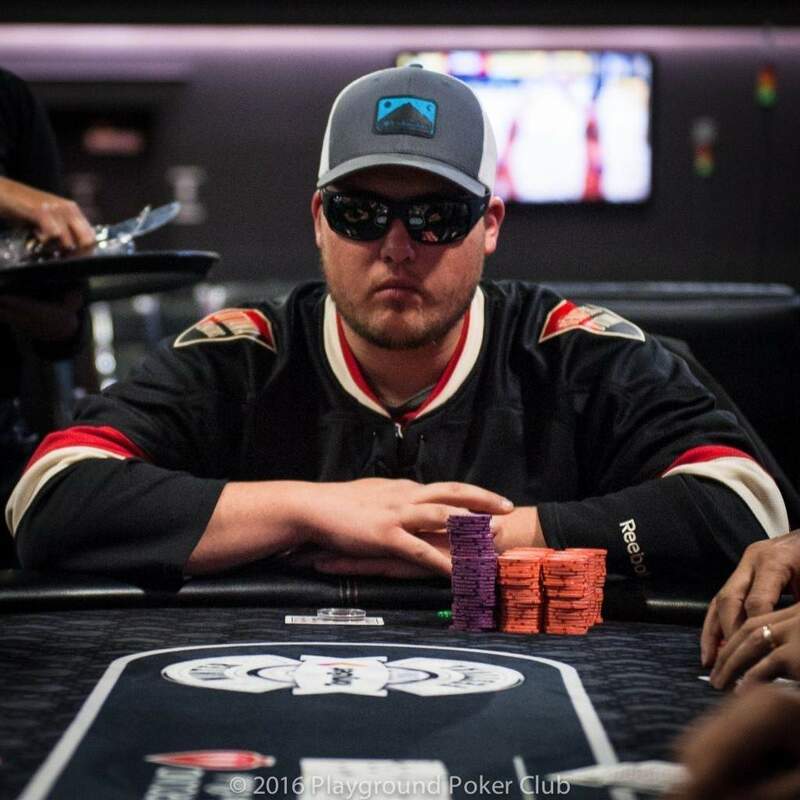 Even though both of them made their straight with their Queen Ten, the Ace on the turn along with the pair on the flop kept Andrew well in the lead. 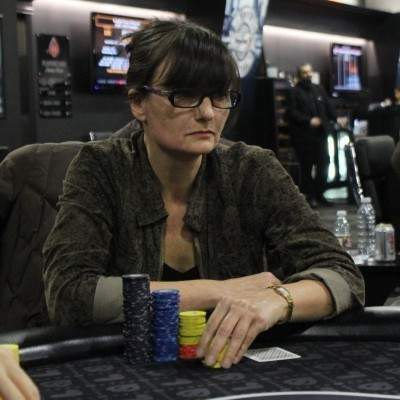 (Vera had more chips than Jean-Marie to start the hand, so she finishes ahead of him in the standings). 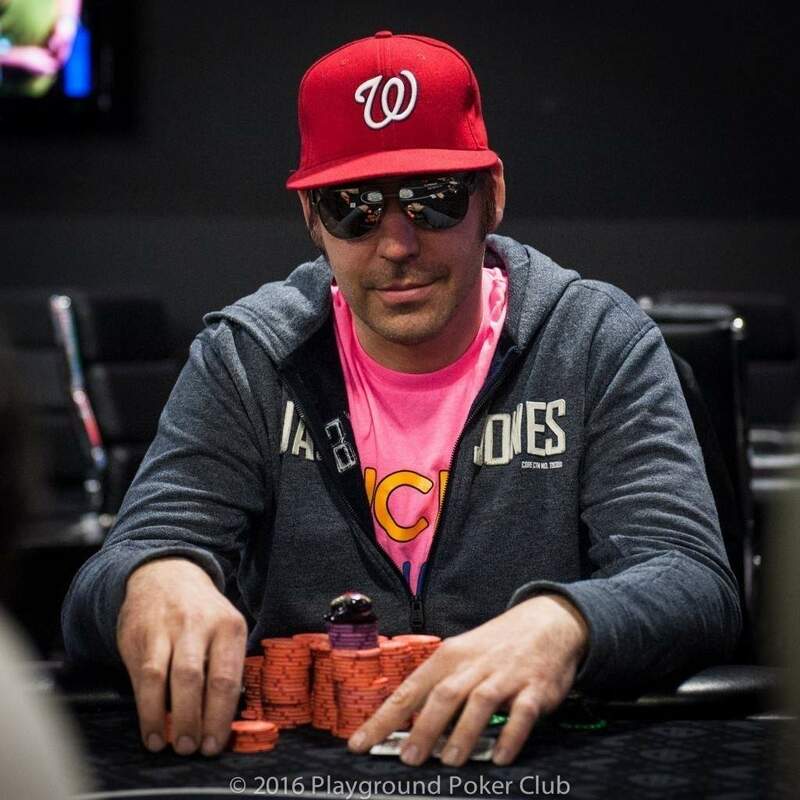 11 Champions in the 6-Max Bounty! 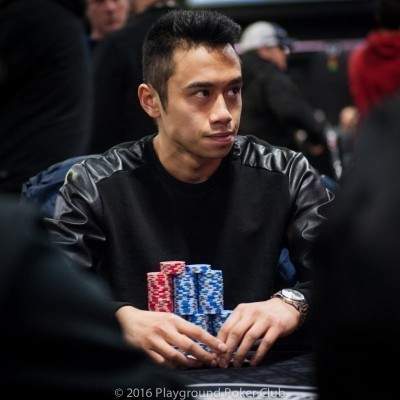 As expected, the 6-Max Bounty tournament attracted a lot of players – who played in a fierce tournament from beginning to end. 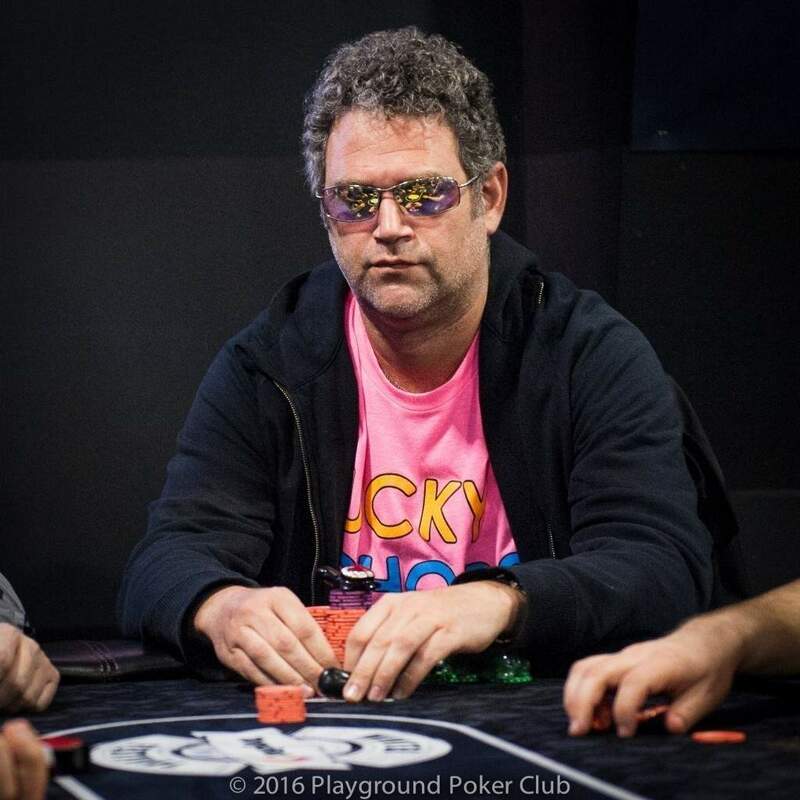 There were 20 or so eliminations just in the final 2 hours, and from the moment there were just 3 tables remaining there were players who were looking to make some kind of deal. 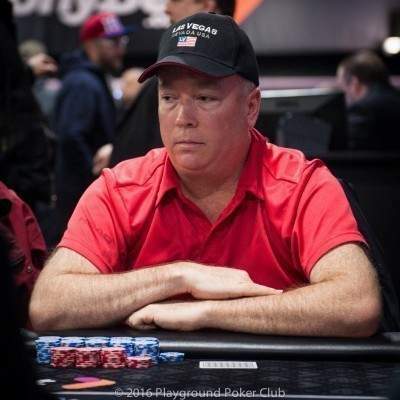 Considering the weak chip holdings of several of the players, the leaders initially refused any kind of agreement. 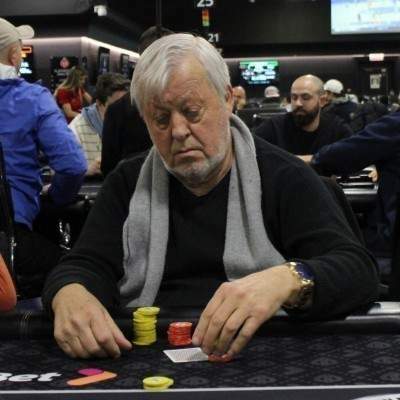 When the tourney got down to 2 tables there were more negotiations, but more refusals as well and play continued – particularly because of one player with a markedly inferior chip count. 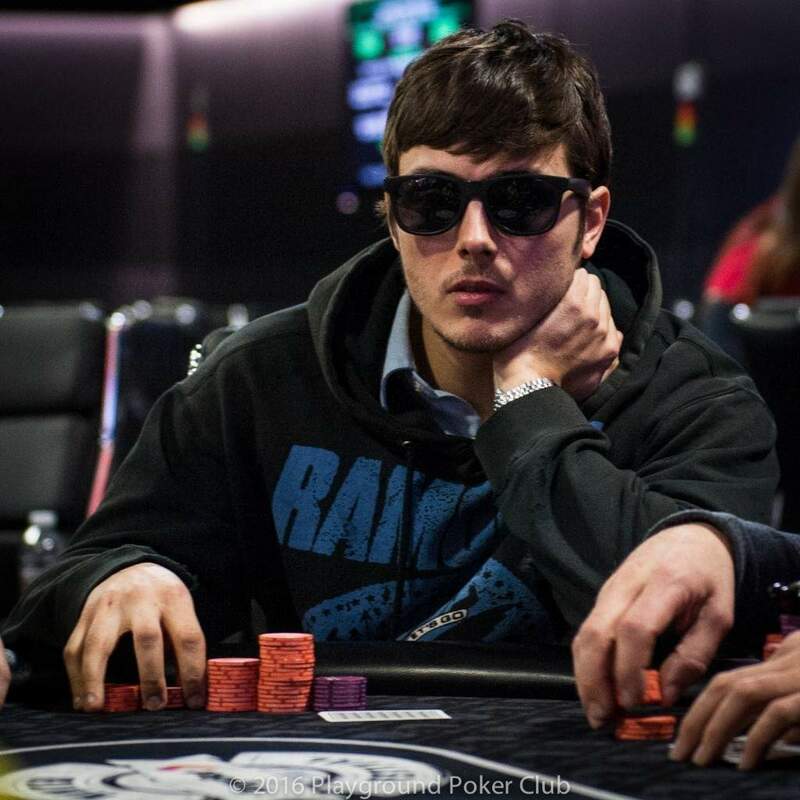 Once eliminated, the remaining 11 players quickly agreed to an ICM chop, and to keep their own bounty chip as well. The following are the players’ holdings at the time as well as the amount agreed to in the deal. 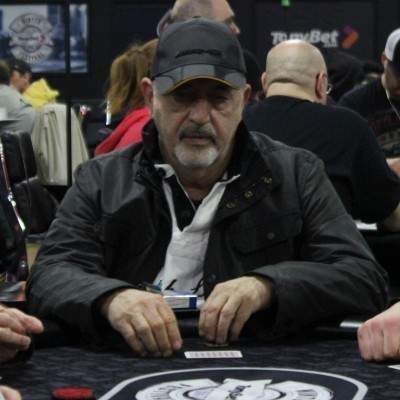 Domenico “Agi” Agatiello went all-in utg with a little more than 200K in chips and found a call from Benoit Landry and his pocket 9s. 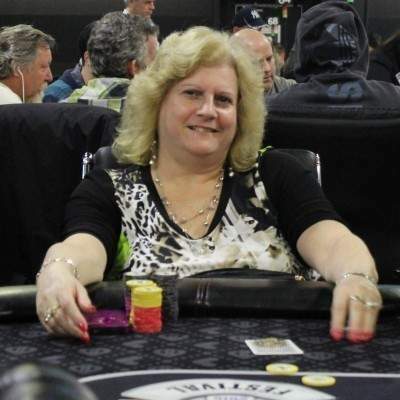 Luck was on Agi’s side, and by the river, several players mentioned how envious they were of Agn’s good fortune! 8 teams share the win! 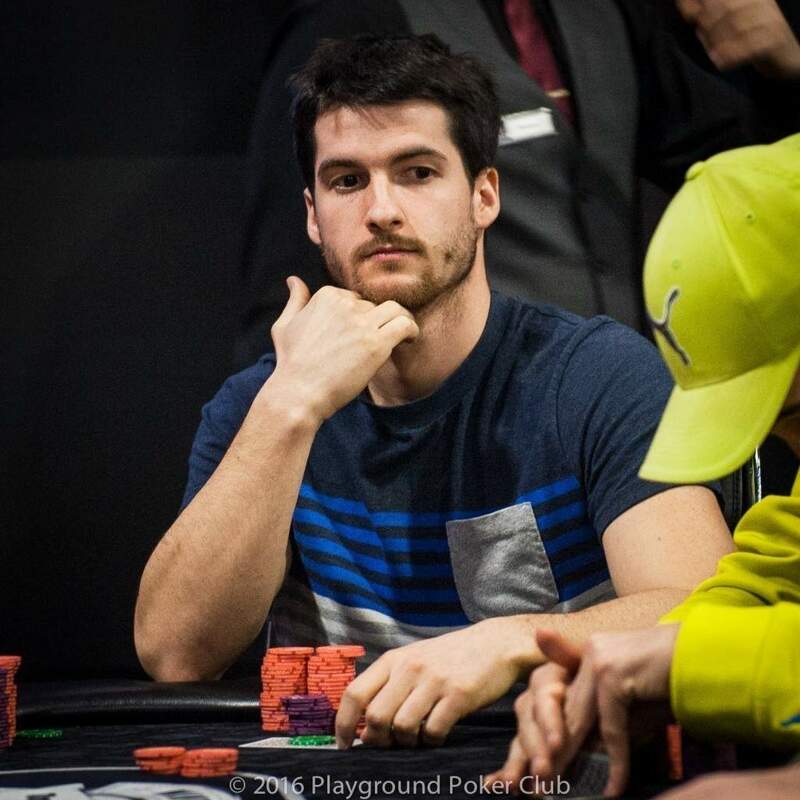 When the TonyBet Power Weekend Tag Team tournament reached level 27, a few of the team members asked the table once again if there was any interest in looking at potential numbers for a deal. 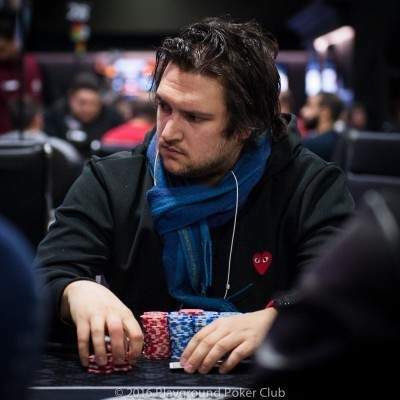 With the blinds entering 50K/100K and an ante of 5K, the average stack would be reduced to just 12 big blinds, leaving less room for manoeuvrability – and a huge gap between 1st place prize money and 8th place. 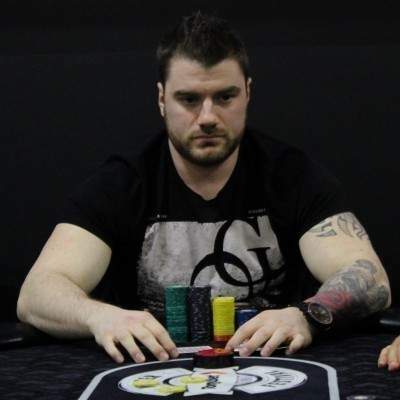 After much negotiating, something to be expected when two players are involved per member of the final table, the 8 teams finally agreed to the ICM chop numbers, which split the remaining prize pool based on their current chip counts. Team Fee was awarded the biggest piece of the chop, as they were the chip leaders at the time of the chop, and all team members were left well rewarded for their long day on the felts. The Tag Team tournament has been running since 11am this morning, meaning the final 8 teams are approaching their 15th hour of play for the day! Fatigue has definitely made its appearance clear with many of the players still in action, however determination seems to be overriding it. Talks of chop have come up a few times, but a few of the teams are set to play the tournament until completion, so play continues! 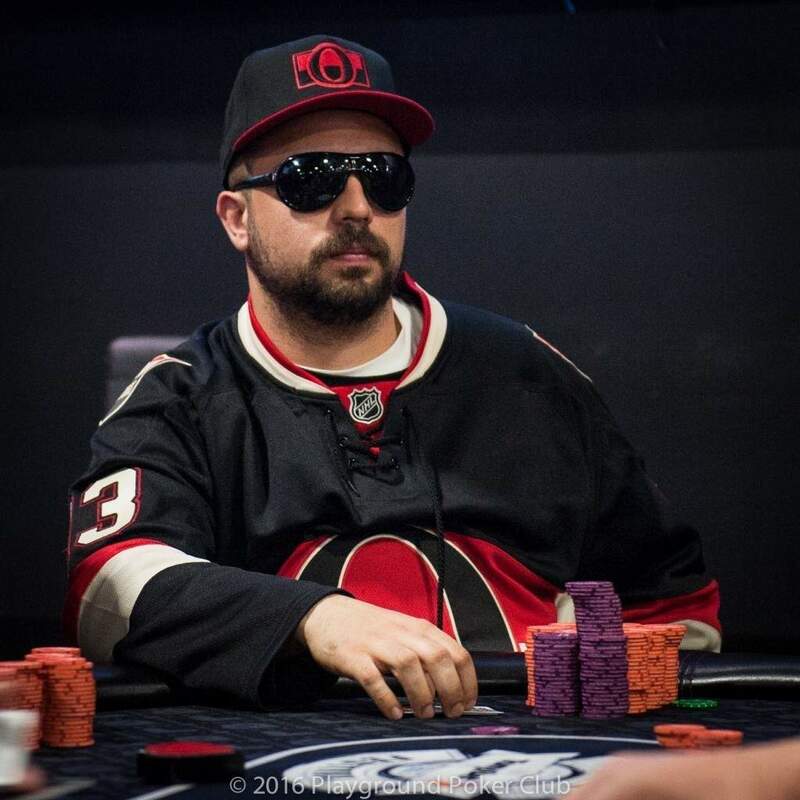 Team Fee and Team Chaykowski share the lead with 8 teams left, as they both hold roughly 2,350,000 in chips. 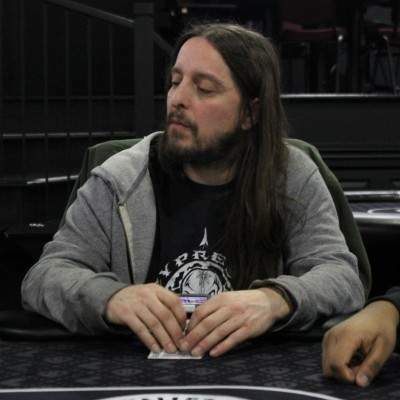 There were 149 players in the $200 + $20 NL Hold’em Freeze in the TonyBet Power Weekend, and it took about 10 hours to play down to a champion. 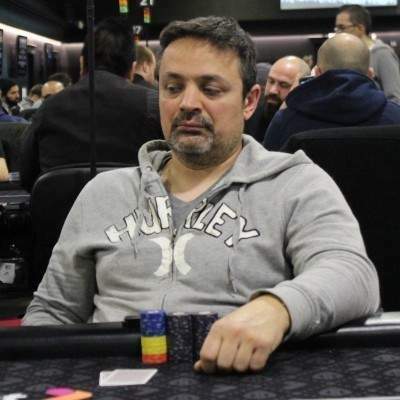 It didn’t take long for several players to grow “industrial-sized” stacks – there were players with 3 times the average before the first break of the night. 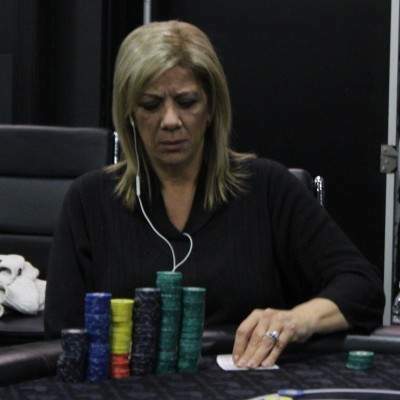 Eliminations came at a constant pace throughout the night, and then as the money bubble and the final table approached, deals were made to keep up the steady pace of the tourney. The first agreement reached was to offer a bubble save prize of $220. 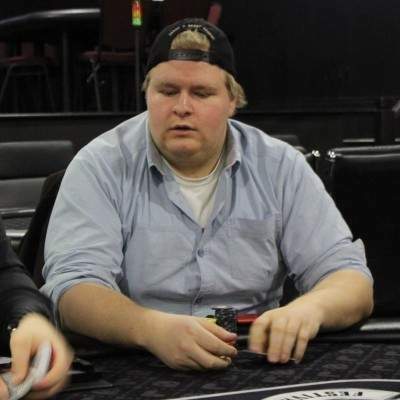 $100 was taken from the 1st place prize money and $80 and $40 from 2nd and 3rd respectively. 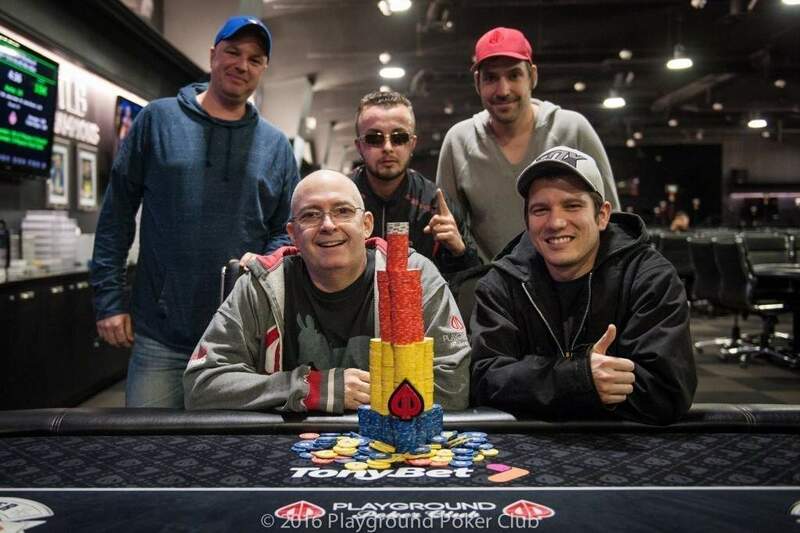 Then, with 5 players remaining the players agreed to an event chop of $4,000 each, reserving $1,286 for the eventual winner. 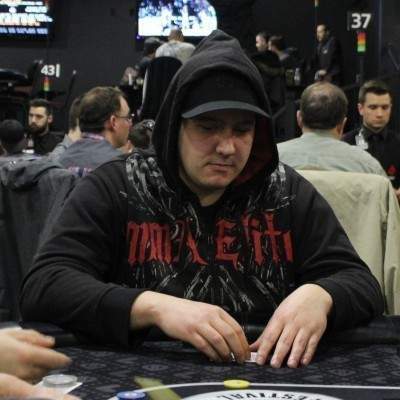 Two players were eliminated in the following hand, and once the 3rd place player was eliminated. 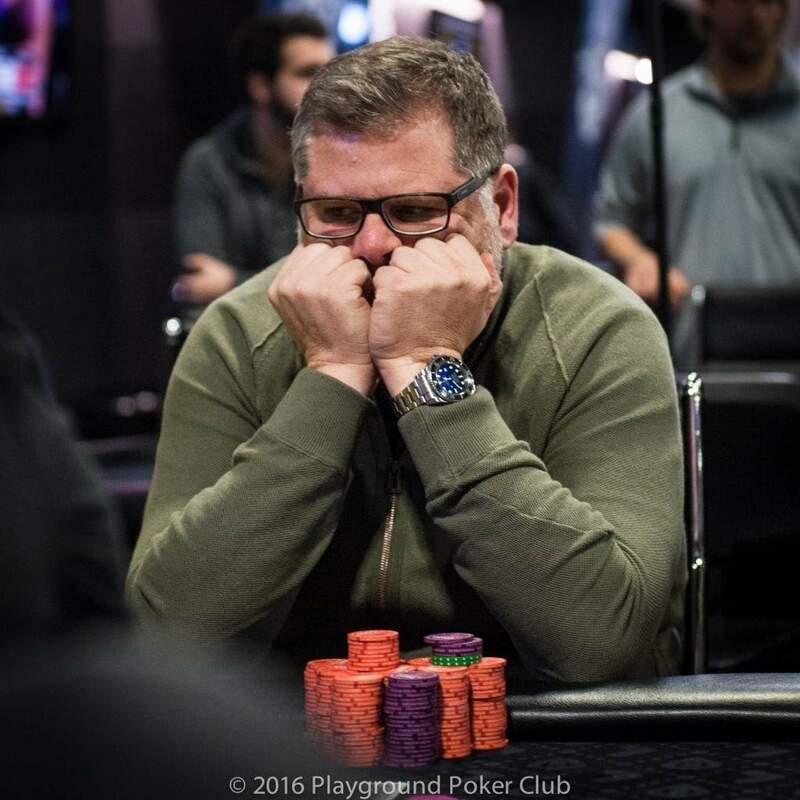 When heads-up play began, Jacques Blais had a huge 2.3M to 770K advantage, but after just a few hands the players were even. 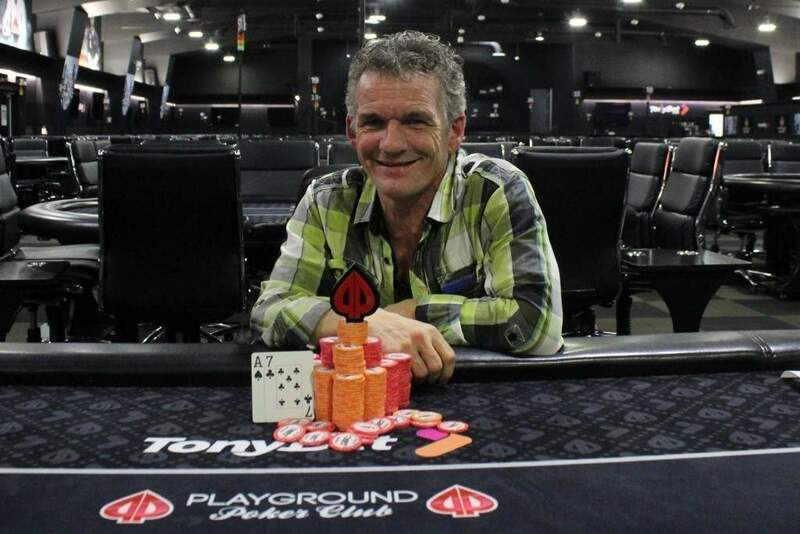 A further deal was made to keep $400 each of the remaining $1,286, leaving an additional $486 for the champion – which ended up being Jacques Blais! 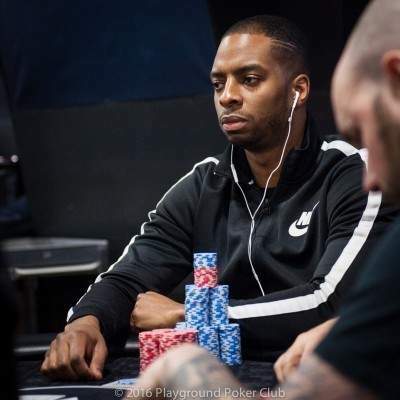 In the major events hosted at Playground Poker Club there is usually a trophy for the champion and a requirement for players to play down to an eventual champion, even if they do deals along the way to re-distribute the prize pool. 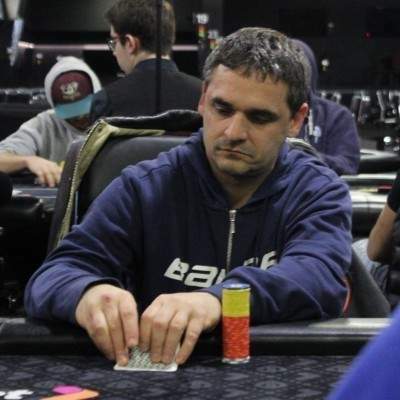 Such rules are not in place for this event, and the first evidence of this is that the Mix Max tournament has concluded with a 5-way chip chop. 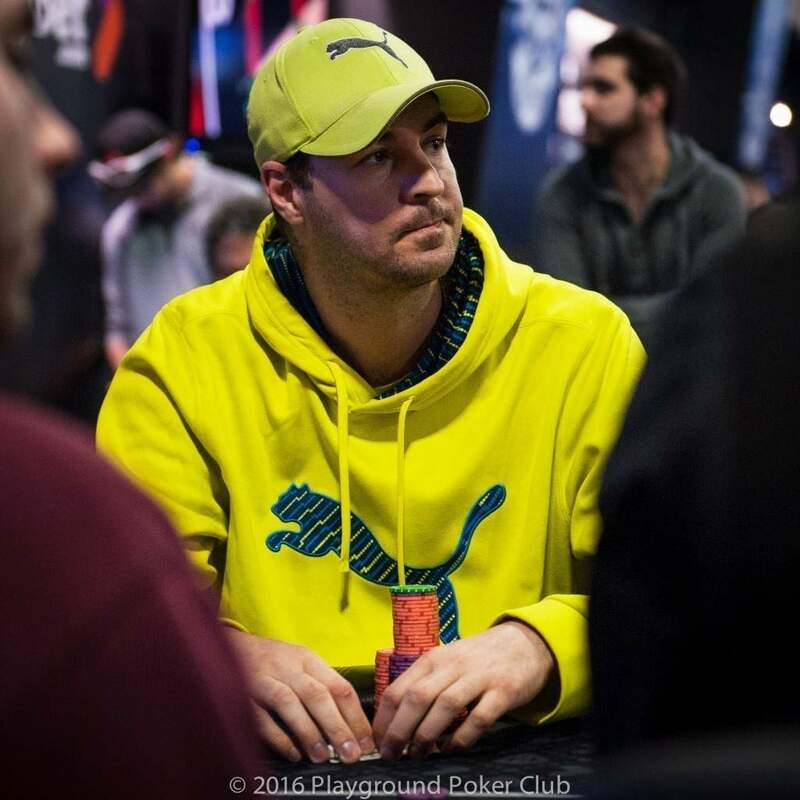 Play never got going on the final table, as the players came together and made note of the relative stack sizes discussion began immediately. 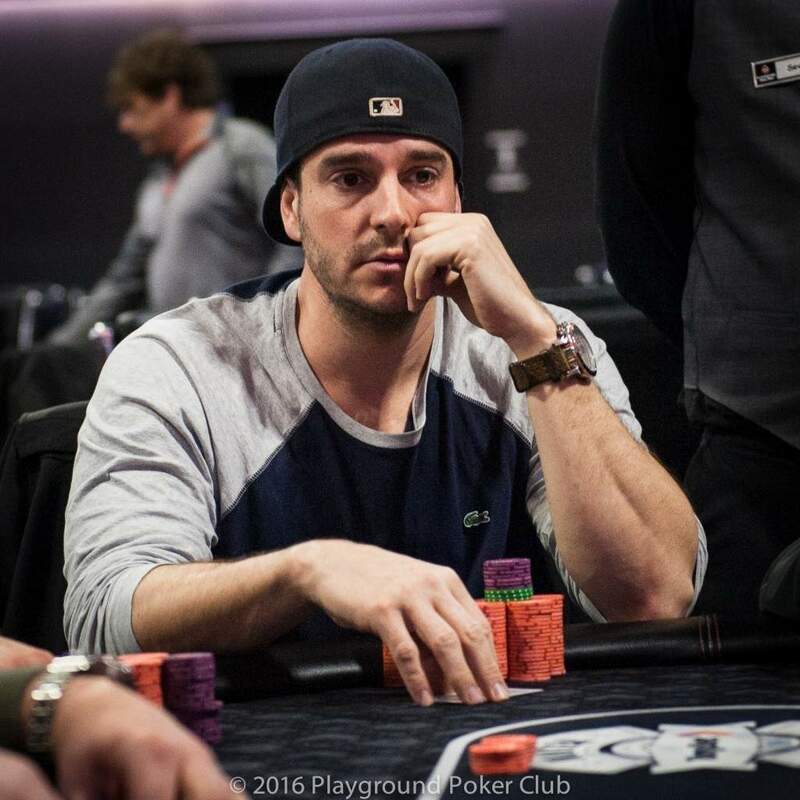 The chip leader at the time, Michel Lemieux, had 407,500 in his stack while the small stack was playing 133,000. 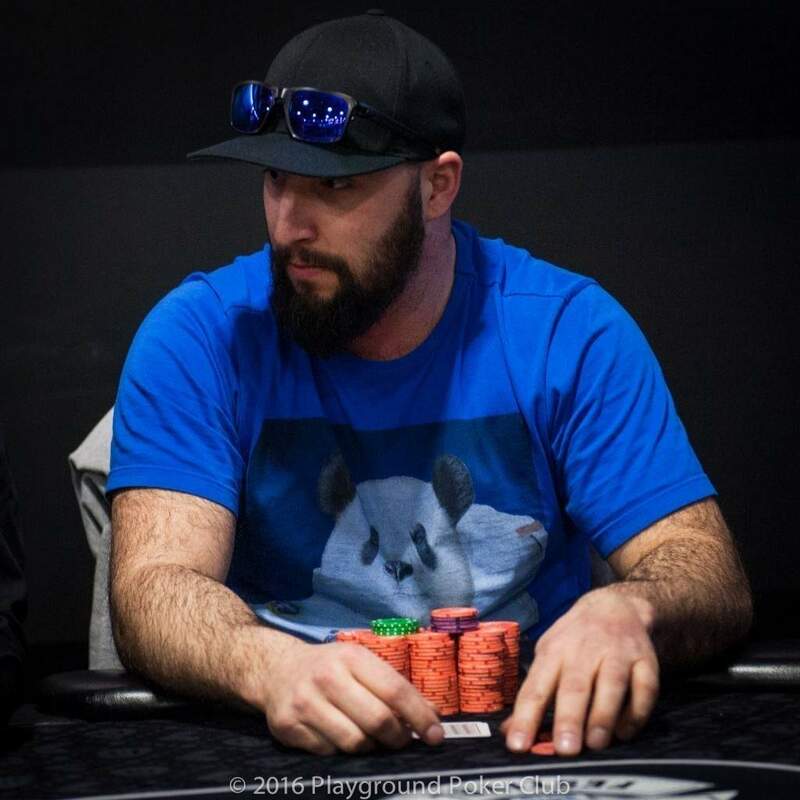 But even though they were relatively deep for a one-day tournament (3 players had greater than 30bb stacks), the numbers were compelling and the deal was made. Here are the details of the chip chop the players agreed to.